← “How Low Can You Go” After You Have Said “That One”? 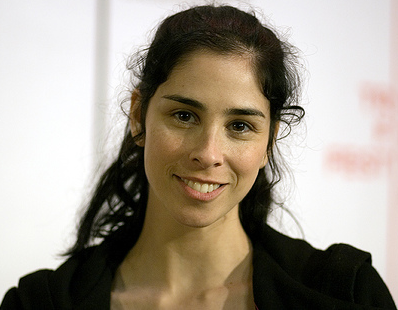 I was reluctant to post Sarah Silverman‘s clip. But John McCain leaves me no choice. Silverman is a Jewish comedian who hangs out on the HBO network where she can use, shall we say, strong language. I am willing to cut her some slack with the naughty words because this little clip about her preferred candidate, Barack Obama, brings some greatly needed humor and wisdom to this campaign. The clip is distributed by The Jewish Council for Education and Research. If naughty language offends you, don’t watch her clip. But ponder this: She is talking about Florida. Remember Al Gore in 2000? Sarah has a warning to grandparents who have retired to Florida. Vote for John McCain and no grand children will visit for a year. The McCain campaign’s outright lies and smirky or false innuendoes about Obama have been with us since the campaign began. Now, with less than a month before November 4, McCain has gone 100% negative. Here are samples. The negative slide starts with an August ad that concludes, “white chicks love him”, and travels down a sad trail to a 90 second warning that Chicago Professor Bill Ayers is a danger to the nation. Watch this one and weep for our nation. Not because of Ayers, but because your Aunt Maude and her entire garden club believes this stuff. ONE MORE THING: Next time you see Aunt Maude, ask her, as a favor to her favorite niece or nephew, to please listen to this seven minute speech by the AFL-CIO’s Richard Trumka. Posted by columnist Andrew Sullian, it is one of the clearest presentations I have heard to bring Aunt Maude to her senses. Jim, I laughed my…you know…off. thanks for the link.